Home interiors sometimes need privacy, darkness and insulation, as well as beautifying your windows. 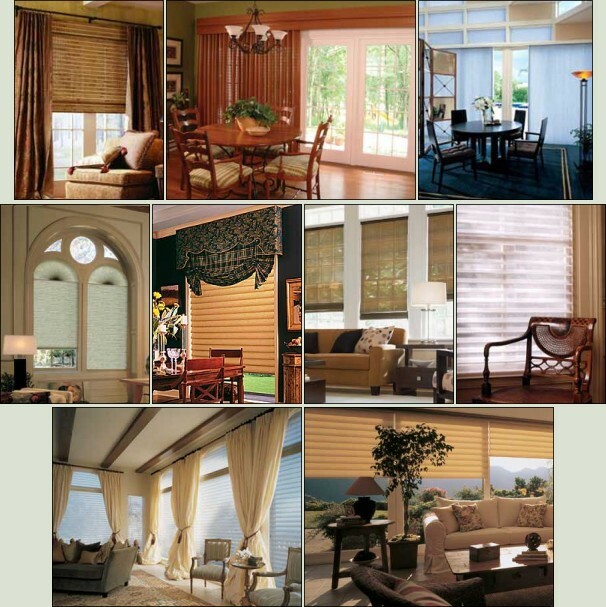 We recommend to you which “hard” window treatment will work well for you – be it privacy sheers, woven-woods, 2-inch woods (real and faux), metal blinds, vertical blinds, window panels, roller shades, screen shades, honeycomb shades or pleated. If you have large or high windows, or one picture window looming behind your bathtub, you may also think about motorization for your blinds and shades. We can work through the pros and cons and give you the best scenario for your window. With samplings from reputable companies and warrantees you will appreciate, we can find you budget friendly and beautiful blinds. Please note that blinds and shades can be installed in as little as two weeks from when they are ordered. Roman Blinds can also be made in an array of fabrics with specific linings for your windows. At JEM, dedication to child safety serves as the inspiration behind alternatives for the cords we use, as well. We carry only brands that have a second nature for consumer safety. We also help to educate our customers on reducing potential risks, such as keeping cribs or beds away from the windows – which seems like common sense, but it is value-added service that JEM offers.